Used 2012 Jeep Compass 4WD 4dr Sport for Sale in Lebanon PA 17046 Adams Auto Sales Inc.
***PRICE REDUCED*** This 2012 Jeep Compass Sport SUV 4X4 is ready to hit the road with you behind the wheel. It is equipped with a 4 cyl 2.4 liter engine and an automatic transmission. Only 114,426 original miles. It has wireless Bluetooth, privacy glass and alloy wheels. The beautiful blue exterior and beige interior are in great condition. Brand new inspection and emissions good thru October of 2019. Free Carfax report is available. Stop in and check it out for yourself. 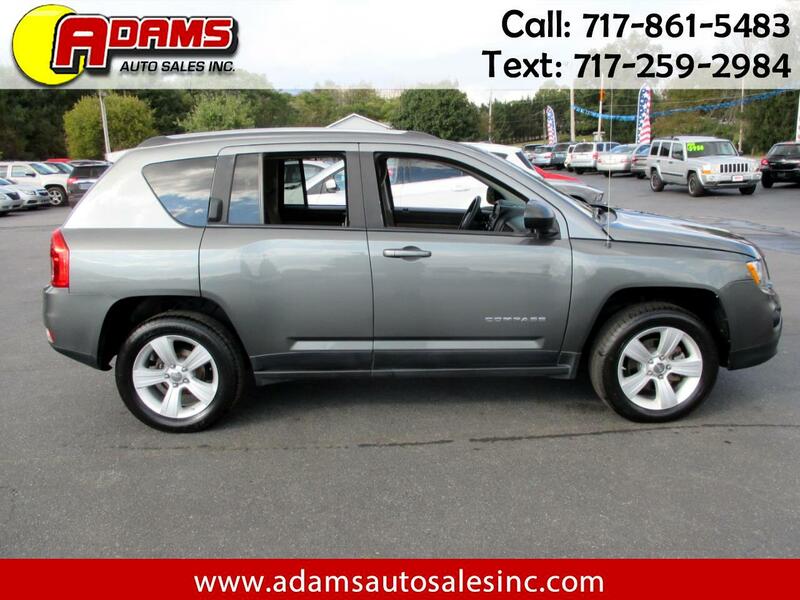 You won't be disappointed with this awesome 2012 Jeep Compass 4X4!! !